Trust! Trust God! He is faithful! He is sovereign! He is eternal! His love is enduring! Do not doubt that He is in control. Do not doubt His promises. Are you doubting God today? Are you overwhelmed by your circumstances? Do the headlines make you uneasy? Write it down. He is Bigger! Apply God’s word to your concerns and trust God that He is in control. Before I start… I just want to say that Romans 12 is one of my very favorite passages in scripture. I have written about it before. But, with all that is going on in the world I just think it is so important for us to remember the characteristics that we are supposed to be exemplifying and be encouraging in others. Over the past months I have had the opportunity to study Exodus, Leviticus and Numbers. It is beautiful to see how God is giving His people ways to live their lives that set them apart from the nations that surround them. First, He asks them to put Him at the center. Then he gives them ways to bring Him honor, and establishes rules & boundaries to protect them and define them as a nation. Like the Israelites, through Christ – God has set us apart. We are not supposed to conform to the ways of the world, but instead be transformed as He renews our minds (see Romans 12:2). We have been called out of darkness into light – for a purpose (1 Peter 2:9). If you are a Christian – your life should look different! As you read over Romans 12:9-21 do you see qualities that are different than those celebrated in our society? Why is it important for us as Christians to live a life full of these attributes (Matthew 5:16)? Is there a certain attribute that you especially struggle with? Write about it and ask God work in your heart and mind to transform your life. I am going to try to pray this prayer over the coming days. Praying that the Lord would work to transform us all that the way we live our lives would set us apart as His kingdom citizens, and bring Him glory! So often here on earth “free gifts” are not so free. I think of all the offers that require us to buy something to get our free gift. It really isn’t free! But here Paul explains that our salvation is free! It is a gift! It is God’s unmerited favor! Stop feeling like you have to earn it. Accept the gift – then live in faith like the new creation that you are! 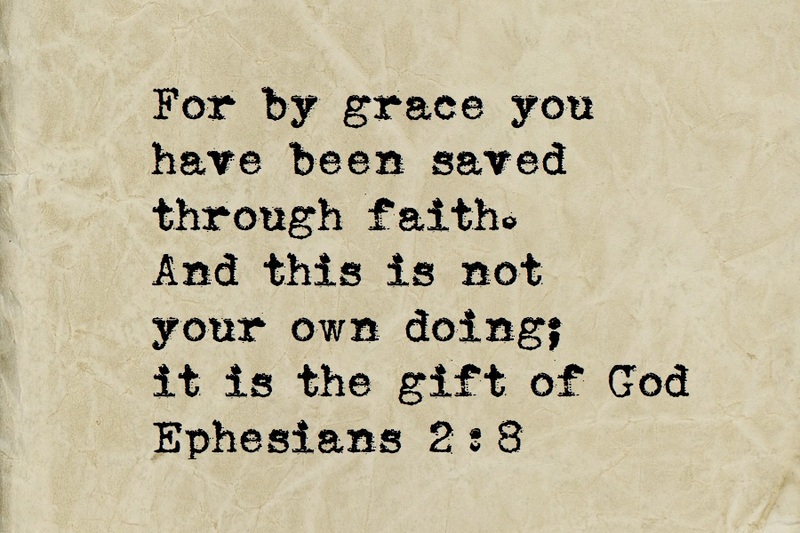 You have been saved By God’s grace what is the result? You are His workmanship created in Christ Jesus for what purpose? Write a prayer asking God to guide you as He uses you for His purposes & His glory! If you know Jesus … God has prepared good works for you! Too amazing to even imagine. Praying for you – that the Lord to prepare and guide you so that you may “walk in them”. Think about God’s grace and how deep and wide it is! God is grace-full! His grace is completely abundant and completely undeserved. It is a gift which we can never repay… but one that we can seek to honor as we are changed by Him from the inside out. There are so many many verses that speak of God’s grace. & I challenge you to seek some more. Write about what God’s grace means to you. He has given you the gift of salvation and from his fullness he has given you “grace upon grace” (John 1:16). 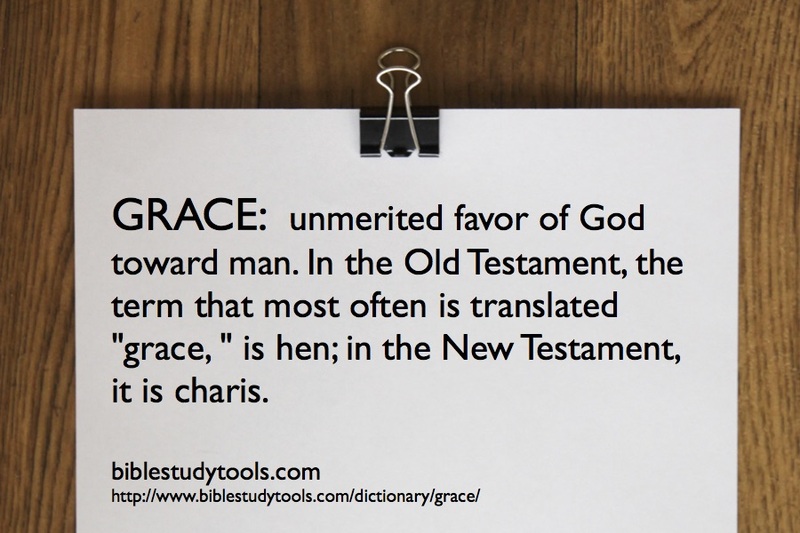 Do these passages open up your understanding of God’s grace? Write down some of the words that really spoke to you. His grace fills the entire Bible from the beginning to the end. It really is too much to comprehend. But it is truth! It is His free gift to you! Awesome! Take time to praise Him Now! I love this song from Mercy Me. It really reminds me how much He loves me – and that His grace is always enough!